Home › News › Summer Hours Begin! Spring is here, and summer is just around the corner! 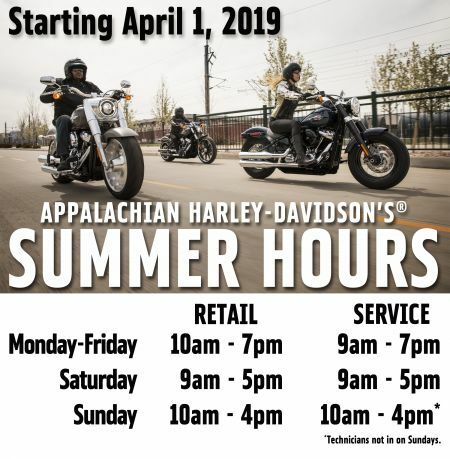 Appalachian Harley-Davidson® will be open their summer hours starting Monday, April 1st!